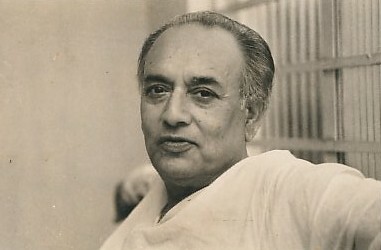 Vasant Chowdhury, the well-known Bengali Film actor was offered the role of the 19th. 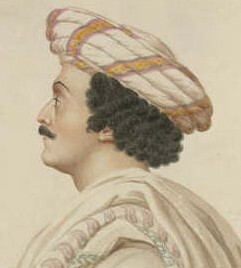 Century, educator, Raja Rammohan Roy.Essentially a humanist and religious reformer, he left the service of the East India Company, to devote his time to the service of his people. Profoundly influenced by European liberalism, Ram Mohan came to the conclusion that radical reform was necessary in the religion of Hinduism and in the social practices of the Hindus. He founded the Brahmo Samaj at Calcutta in 1828, which was initially known as the "Brahmo Sabha." Chowdhury was elated and reached Kumar, to give the good news. The detailed study of the Raja began -the way he sat, wore his shawl, his dress and posture. Hundreds of documents were referred to including paintings, which were at home and abroad. It is during this race for information on the Raja that ,Kumar bumped into, maybe the only engraving of Iswar Chandra Vidyasagar,(it was believed that Vidyasagar never sat for a studio audition) another notable educationist of the same period, and which was till date completely unknown. It would not be irrelevant to note here that Vasant Chowdhury performed the role of Raja Rammohan Roy , to the last detail and for many Bengalee , Chowdhury became the Raja.